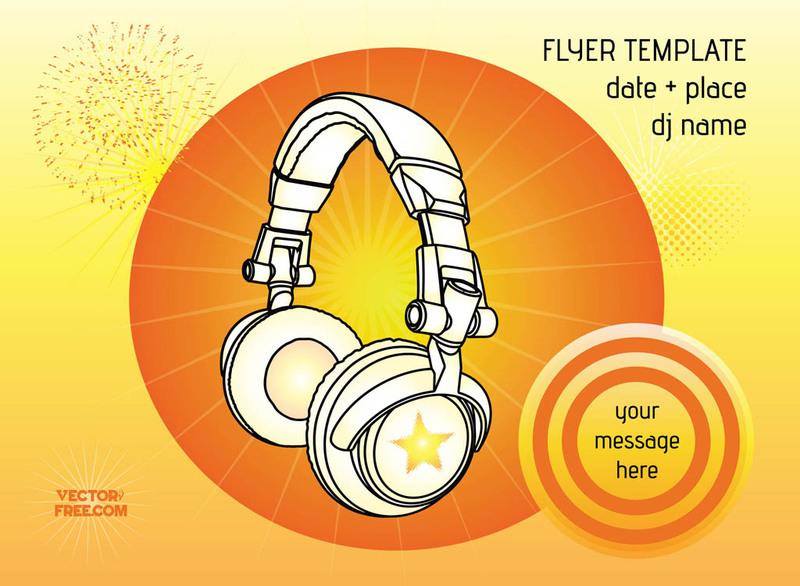 Club flyer vector layout with headphones, fireworks, radiant circles and sunburst shapes. Free flier template with copy space for the name of your event, date, place and dj or live line-up. Download vector poster in Illustrator format to kick start your deejay, nightlife, clubbing, discotheque, bar, party event or live performance themes. Tags: Club, Event, Flier, Headphones, Music, Party, Poster, Promotion, Sound.